A Strong Desire Shared By Many People. Artist David Brooke interviewed by Gil Dekel. 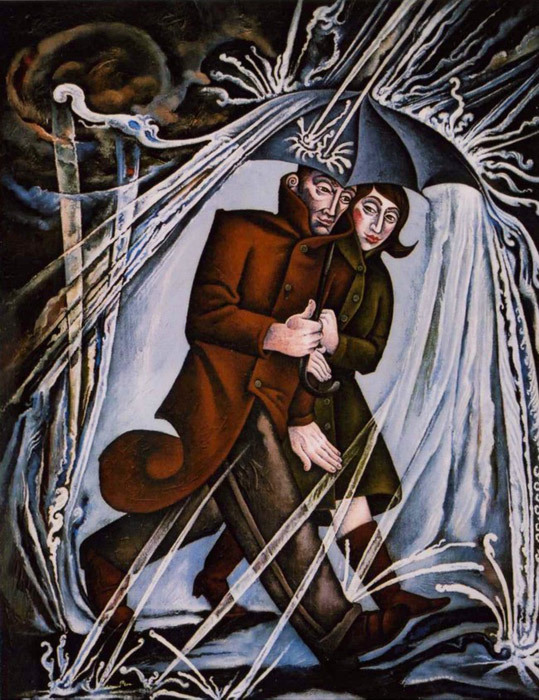 Gil Dekel: How would you define your artistic style? David Brooke: I used to describe my artwork as Symbolist in style, but nowadays I prefer not to categorize my work in any way as I believe it becomes a barrier to viewing the paintings. I would prefer that people come to the paintings without any preconceived ideas. 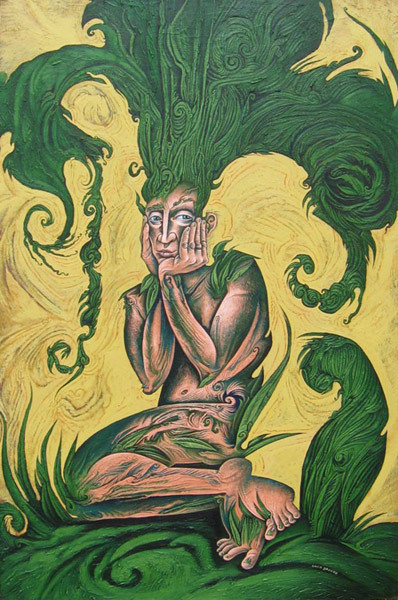 ‘The Metamorphosis of Clytie’ – David Brooke. Coloured Pencils on paper, 35 x 28 cm, 2011. Do you consider yourself a painter? an artist maybe? I generally call myself an artist, mainly because I produce drawings (pen & ink, and coloured pencil), as well as paintings. 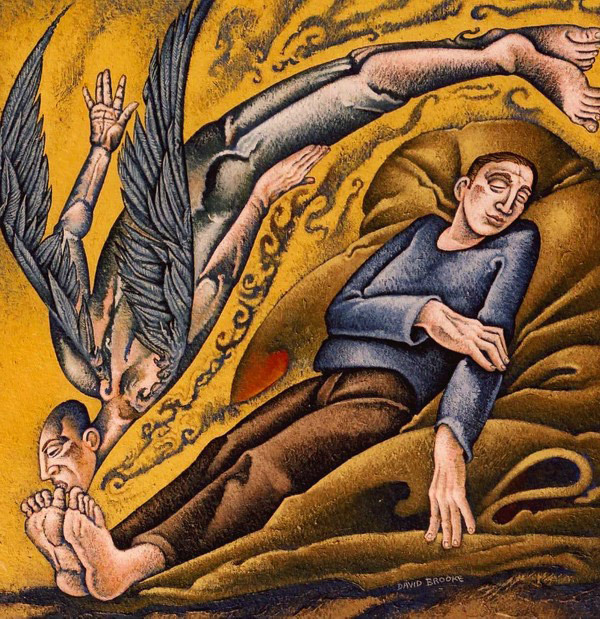 ‘Whilst I Slept an Angel Bit My Toes 3’ – David Brooke. Acrylics on paper, 25 x 25cm, 2006. How do you ‘compose’ a painting? Ideas for paintings come to me at all sorts of times, quite often when I’m working on other pictures. 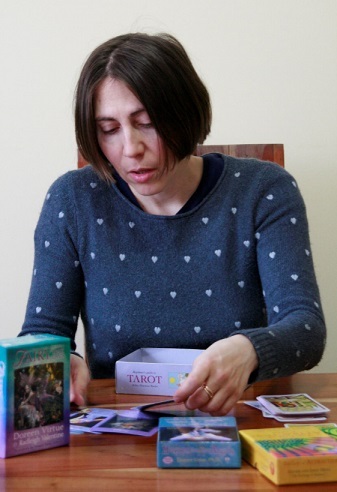 Sometimes ideas come from reading a book or listening to music – all sorts of things seem to fire up my imagination, more often indirectly rather than as a direct illustration to something. 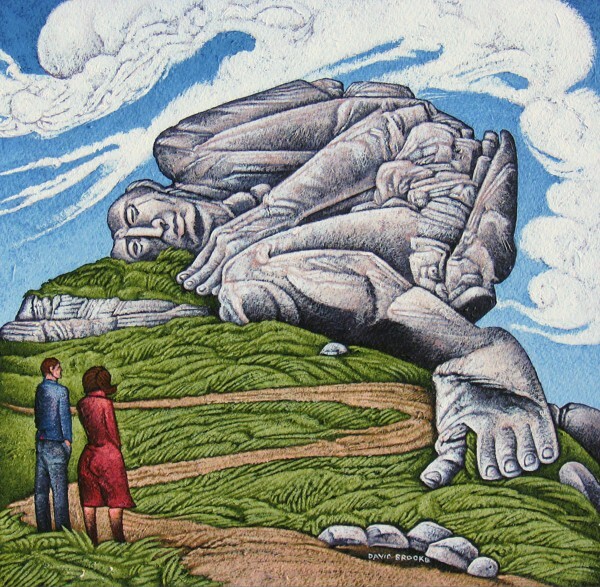 ‘Figures in a Landscape 1 - The Rocky Tor’ – David Brooke. Acrylics on paper, 27 x 28cm, 2012. Drawing for ‘The Rocky Tor’, 27 x 28cm, 2012. 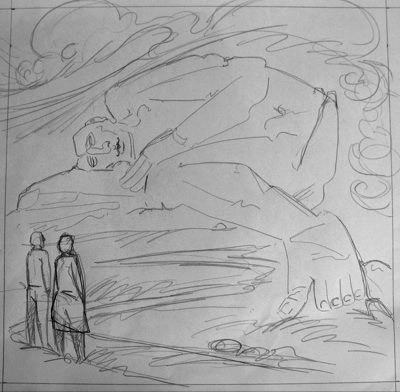 I start by sketching out the idea in a few lines, usually on a small scrap of paper. These drawings are only for me and may seem meaningless scribbles to others… Sometimes these drawings don’t go any further, but if I feel happy with the idea in the sketch I will then produce a slightly larger drawing where I can work out the general composition and some of the details. If I am happy with this then the next stage is to complete a full size drawing with all the details fixed before transferring this drawing to the surface I will paint on. Then I begin to work on the finished piece. 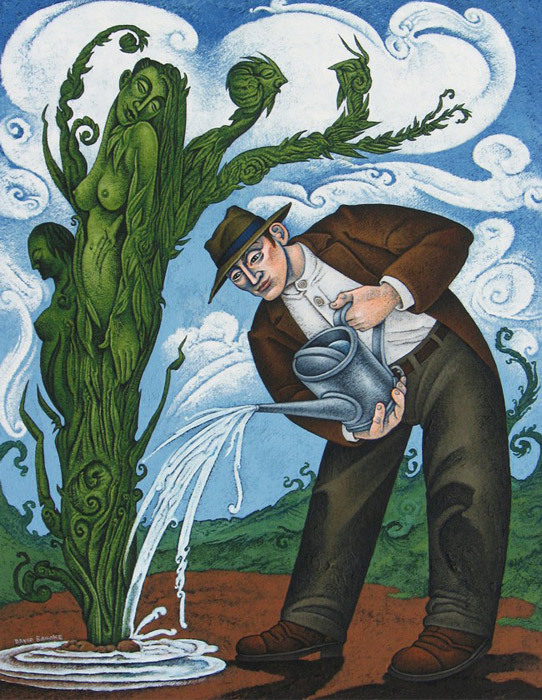 ‘Pygmalion in the Garden’ – David Brooke. Acrylics on paper, 46 x 36 cm, 2008. 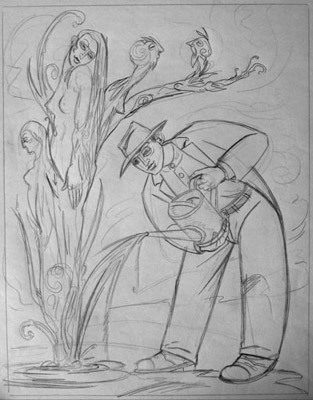 Drawing for ‘Pygmalion in the Garden’, 46 x 36 cm, 2008. I guess it is correct to say you are interested in Mythology? Since an early age I have had an interest in mythologies (Celtic, Norse, Greek and others), as well as reading Homer, Ovid and Virgil. I also enjoy medieval works such as Wolfram’s Parsifal, Malory’s Morte d’Arthur, Geoffrey of Monmouth’s History of the Kings of Britain, and Robert Graves’ The White Goddess. These have filter through as an influence on my paintings. I use these books for what I can get out of them to inspire my paintings, and this is not necessarily what the author intended. Equally the viewer of one my painting won’t necessarily get the same emotive feeling from the picture as I put into it. Some of my work is directly based on a specific myth although usually adapted in some way. Many of my pictures try to convey the feeling of myth but not based on any actual story. 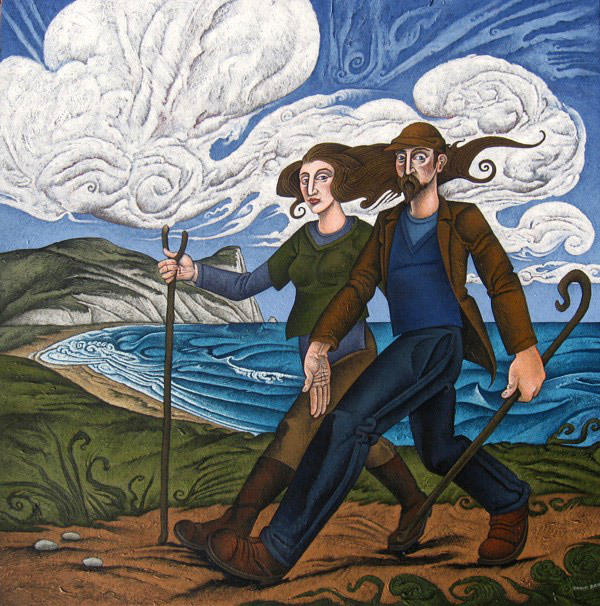 ‘Walking the Coastal Path’ – David Brooke. Acrylics on canvas, 61 x 61cm, 2009. I have been drawing and painting since I was a child and it just seems natural for me to do this. I enjoy composing the design of a picture; I enjoy producing the textures which are created by building up layers of acrylic paint. ‘Walking in the Rain 7’ – David Brooke. Acrylics on canvas, 56 x 46 cm, 2005. As to why painters paint at all? I think it is something inherent; something that you simply have to bring out. I don’t think it has anything to do with technical ability but more to do with a desire. There is a strong desire shared by many people, for quite a while now. Our earliest ancestors painted on caves’ walls thousands of years ago, so the desire has been with us for a long time, perhaps ever since we, as a race, became human. It is about drive, commitment and passion – and I channel these into my paintings. 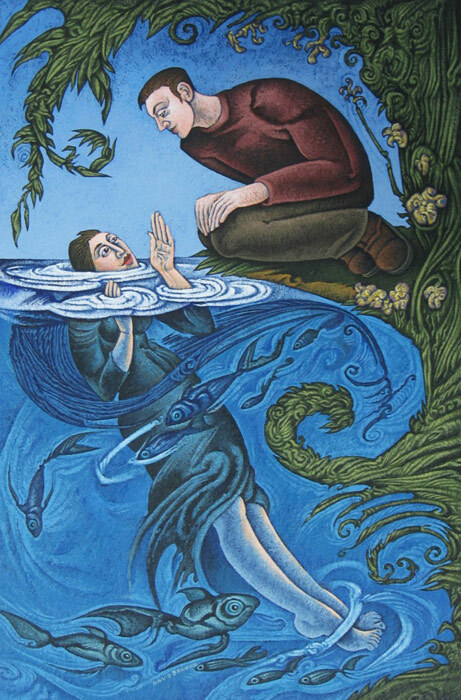 ‘Watching the Lady in the Lake 2’ – David Brooke. Acrylics on paper, 38 x 25cm, 2009. What do you feel once a painting is completed? I usually work on more than one piece at a time, so that when one picture is completed I’m already working on something else… In this way I don’t really come to an end of things, so my feelings and energy are always concentrated on the work at hand. ‘Growth’ – David Brooke. Acrylics on canvas, 66 x 51 cm, 2010. Nature and the human figure seem predominant in your work, and there is a sense that they mingle or move one into the other. I like organic shapes. The curves and lines of landscape, foliage and figures all seem interconnected to me. I like to create a feeling of uncertainty, whether the figure is part of the landscape or the landscape is part of the figure. Of course in the end it is all the same thing. We are all part of nature and are interlinked. 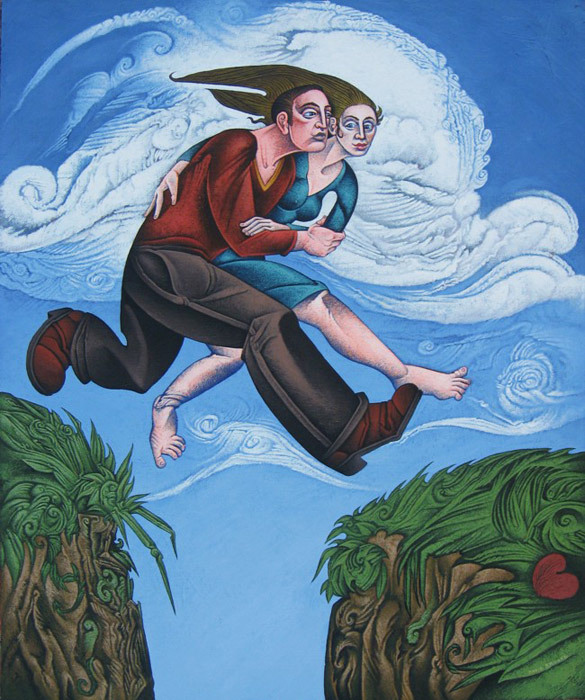 ‘Lovers' Leap’ – David Brooke. Acrylics on canvas, 61 x 51 cm, 2012. The titles of your paintings are direct and descriptive. They tell us exactly what we see. Yes, the titles simply describe the paintings. I want the viewer to look at the painting and make up their own minds about what they see, rather than being told by some long explanation of a title what they should see… The image is the important thing and should be able to exist without explanation or even a need of a title. ‘Walking on the backs of fish 20’ – David Brooke. Acrylics on canvas, 51 x 66 cm, 2007.
Who is the man in ‘Walking on the backs of fish 20’ (2007)? I have painted various versions of this subject. The origin of the idea came when I decided to convey myth without relating it to a known story. Most mythological stories start with a miraculous journey, a voyage from the everyday world to the unknown world of adventure (whether real or imagined). This may be a journey through dark wild forests, or even a magical carpet ride. I decided right from the beginning that the man should be barefoot. I felt he had to make skin contact with the fish. In this particular painting he holds a pendulum in his hand. 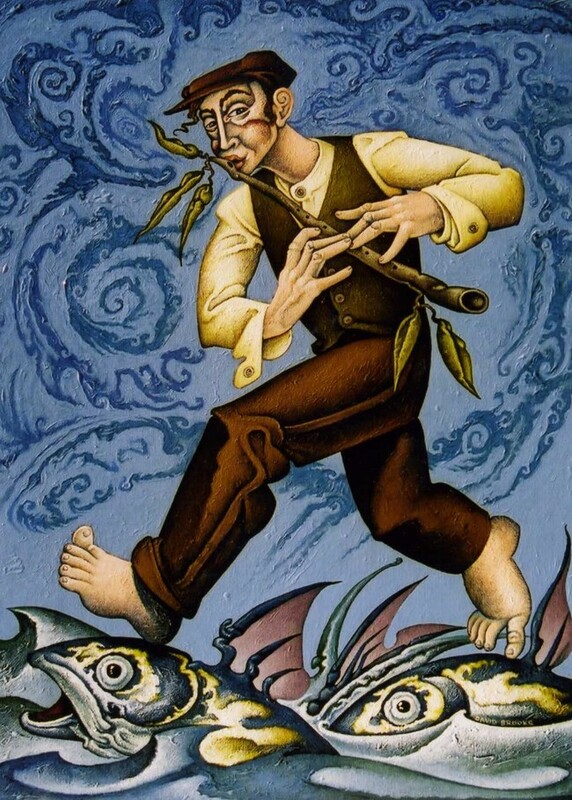 In other paintings he has held a compass or a walking stick; and in some paintings he plays a flute. ‘Walking on the backs of fish 16’ – David Brooke. Acrylics on canvas, 41 x 31 cm, 2005. 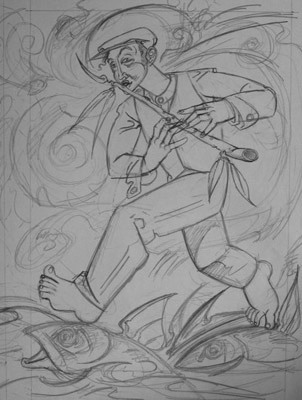 Drawing for ‘Walking on the Backs of Fish 16’, 41 x 31 cm, 2005. 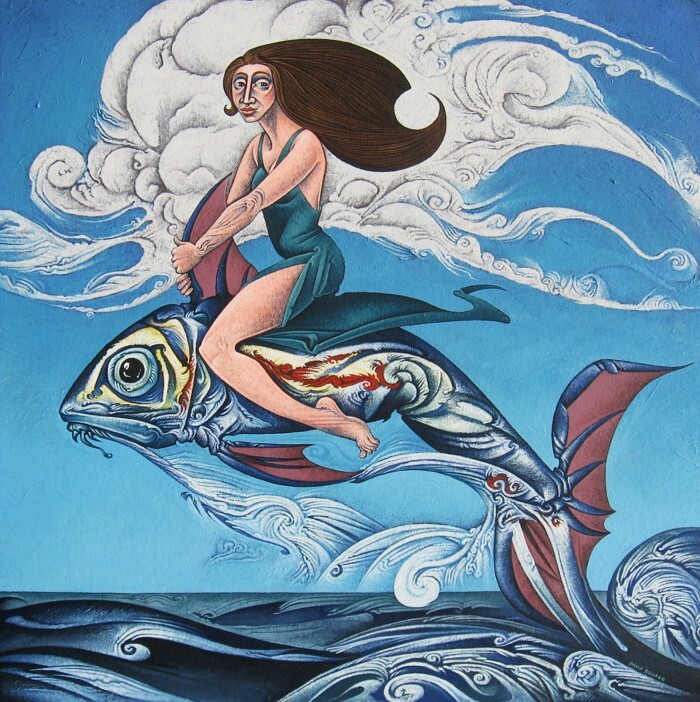 I remember reading that the myths of island nations often began with a journey across the sea, so I decided that the painting I would execute would depict a miraculous journey over the sea. 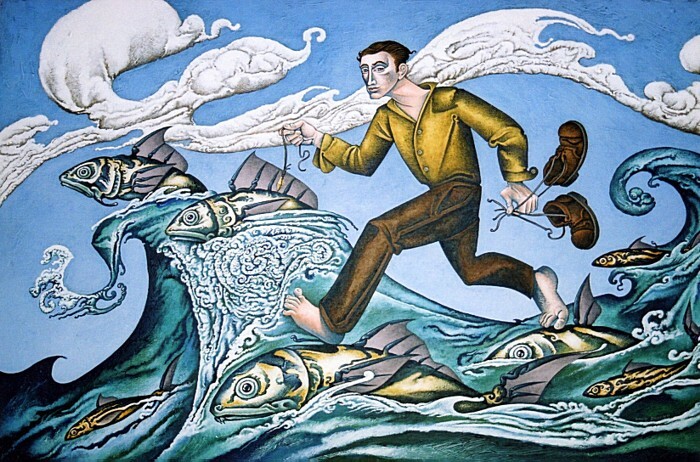 In the first few paintings of this series there was a large amount of fish jumping in all directions and making a carpet of fish for the man to walk on. Later this changed to just few fish, all moving in the same direction and rising out of the sea as the man steps onto them. He walks forward with conviction, an act of faith, knowing that the fish will rise beneath his feet. 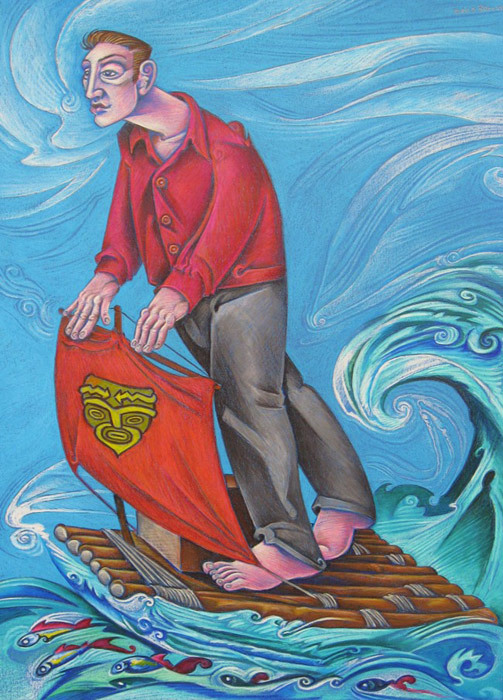 ‘Embarking on a Great Adventure 2’ – David Brooke. Acrylics on canvas, 61 x 61 cm, 2011. 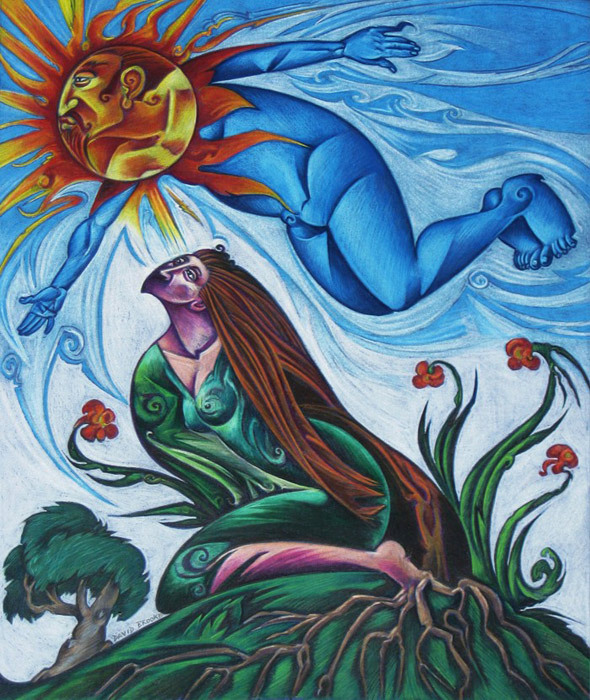 In the various versions the figure is man and woman. I intended that the figure should be ‘everyone’ – both me and the viewer… S/he is the hero within us seeking adventure, be it physical, mental or spiritual. ‘The Spirit of Thor Heyerdahl’ – David Brooke. Coloured Pencils on paper, 35 x 25 cm, 2010. …and where is he heading to? Publishing right © Gil Dekel. Images © David Brooke. 8 June 2012. 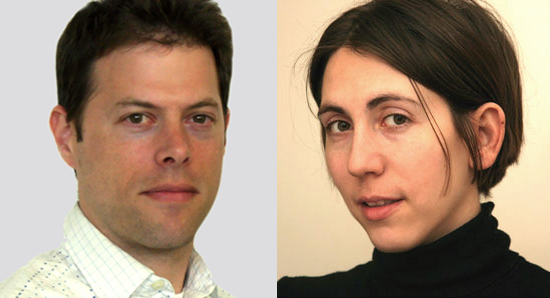 Interview conducted via email correspondence 3 May 2012 – 7 June 2012. David is based in Bridport, Dorset, UK. Gil is based in Southampton, UK. this is so gorgeous and awe inspiring,made my day.